The Temperature Based Shipping feature checks the current and forecast temperatures in both the origin and destination zip codes. 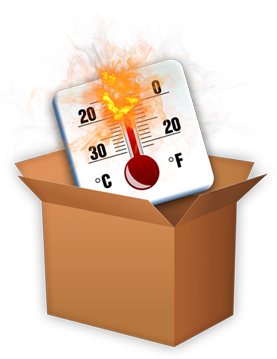 If the temperature exceeds a preset limit, the specific shipping methods (ground methods in most cases) will be blocked. The Advanced Shipping Manager retrieves the temperatures in real-time from The Weather Channel’s website so you can be sure of accuracy. This feature also allows the weight of an ice pack (or other cooling method) to be automatically added to the shipping calculation.